Gadgets I bought for my kitchen that I absolutely love. Last week, I told you about my love affair with kitchen gadgets and appliances (I do LOVE them), and I shared with you a list of silly things I bought for my kitchen that I ended up selling or rehoming because they were so useless to me. And you asked, what are the gadgets I have in my kitchen that I use and love. Beyond good knives, quality stainless steel and enameled cast iron cookware, here are some of the items that get the most use in my kitchen and why. Some might ring true for you, and others not so much. We have used our Instant Pot almost daily since we bought it three years ago. I use it to make bone broth, soups and stews, pot roasts and to cook beans and lentils until they yield to a beautiful tenderness. Because it gets so much use, we bought an additional insert to have on hand when the other is in the wash. If you’re an Instant Pot fan, a great book to keep on hand is The Art of Great Cooking in the Instant Pot. I like having a programmable slow cooker available, too, and I often use it to make overnight oatmeal or slow cooker chicken soup. Unlike other slow cookers, the VitaClay combines traditional clay pot cooking with the modern convenience of electric slow cookers. It’s programmable and it sits on your countertop. Many readers have reached out over the years with concerns about the potential of lead and heavy metals being used by manufacturers in the glaze that covers the insert, and while I don’t necessarily share that concern, the VitaClay is a good option as its insert is an unglazed clay pot that is free from heavy metals. More importantly, though, it cooks beautifully and a touch more quickly than a traditional slow cooker. We’re super happy with ours and use it about once a week. In the summer time, we use our 9-tray food dehydrator to dry fruits and vegetables and to make fruit leathers. We also use it occasionally to make jerky, or to dry mushrooms to make mushroom powder, to make kale chips or to make super green veggie powder. Beyond using it for its primary function which is to dry foods, it provides the benefit of maintaining a steady even temperature. For this reason it’s particularly helpful when making cultured foods that benefit from a low, steady, even warmth. I use it like a proofing box to help sourdough bread rise. I also use it to culture homemade yogurt, which I make in large gallon-sized batches. When making homemade sodas like root beer or probiotic lemonade, especially in cold weather, culturing them in the dehydrator at a low temperature can help to speed up the fermentation process, and provide a more reliable fizz. We use our dehydrator about once a week in winter, and two or three times a week when we’re preserving food in the summertime. When readers reached out to me recommending high-speed blenders, I scoffed. I had a moderately priced blender that seemed sufficient enough, thank you very much. Until I won a BlendTec, and realized there was a world of difference between my standard blender, and a high-speed blender. High-speed blenders work more efficiently, emulsify dressings and sauces more effectively and are perfect for making batters. They’re also easy to clean, and I use it three or four times a week. I bought my first stand mixer in college on sale, and recently upgraded to a larger model. We use our stand mixer a few times a week to make doughs and some batters (those we don’t make in the blender), and to whip egg whites and cream. A food processor, like this one, works well for making homemade mayonnaise, for other sauces, and for processing vegetables. Food processors are also efficient for shredding large amounts of cheese, fruits or vegetables, and I use it when making my Apple Sprouted Einkorn Muffins. You can also shred vegetables for making fermented vegetables, if shredding or cutting them by hand is too laborious. Fermented and cultured foods make up a cornerstone of my family’s diet. To ferment vegetables effectively, and with the least amount of risk of cross-contamination, using a crock or jar that is intended for fermentation will provide more reliable results. Lacto-fermentation, the type of fermentation responsible for turning milk into yogurt and cabbage into sauerkraut, is an anaerobic process although lactic-acid producing bacteria aren’t obligate anaerobes. For this reason, you will produce more reliable results and tastier ferments, when you use the right equipment. 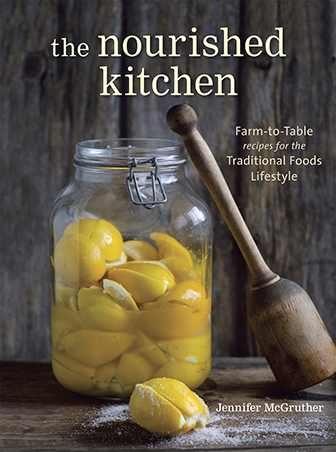 For large volumes of fermented foods, such as making several gallons of sour pickles or homemade sauerkraut, large, stoneware crocks with deep wells work well. If you only plan to make small volumes of fermented foods, a pint or a quart here or there, mason jars coupled with glass weights that keep vegetables submerged in brine and seals for your jars that maintain an anaerobic environment are the way to go at considerably less expense. To me, these are appliances, not gadgets. I love my high speed blender, and also my dehydrator, even though I don’t use it much. I have a slow cooker with ceramic insert for making granola and yogurt, and one with a metal insert that also works on the stove, for doing savory dishes. My food processor comes in handy at times, though I don’t use it as much now that I have the high speed blender. 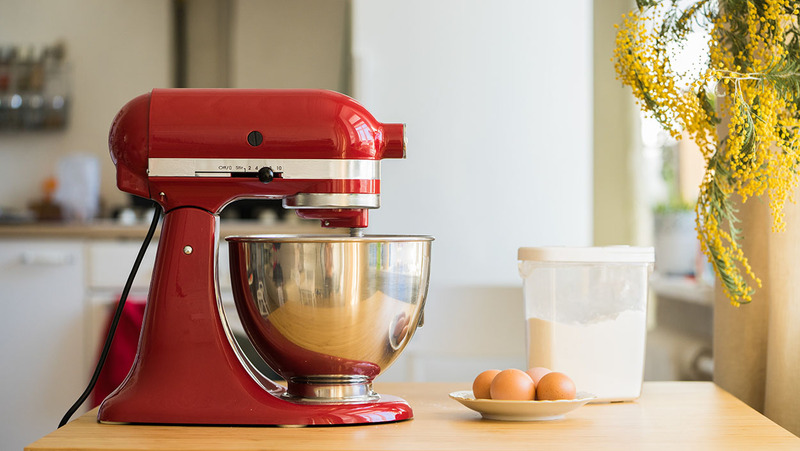 I once had a stand mixer, but basically do so very little baking that I can’t see making space for it in my kitchen. I don’t care much for pressure cookers, either. If I get one it will be sometime down the line when I know I’ll use it. My cookware is non-stick, which is dishwasher safe, and it both my husband and I like it (he hated the stainless steel cookware I had when we got married). I also have a couple of enameled cast iron pots, plus a couple of cast iron skillets, all of which I enjoy using. My fav appliance is my slow cooker. I use it every other day! After a decade of traditional foods cooking, I definitely have my favorites. And after moving nearly 8 time a in 10 years, I’ve definitely come pared it down! I’m sure there are plenty of other fun things I could want or occasionally need, but these are definitely the workhorses around our home. Which food processor do you have? I will soon need to replace the bowl of the FP attachment on my Kenwood for the second time in 5 years. I wonder if I should get the continuous slicer attachment instead, or if there’s a FP out there that can handle daily use for a family of 4. I think I have a 12 cup bowl right now, and it is often too small. Do you find that the Instant Pot replaces your slow cooker? I am curious too if anyone finds less of a need for a slow cooker with the Instantpot. I have been eyeing up the Vitaclay slow cookers. 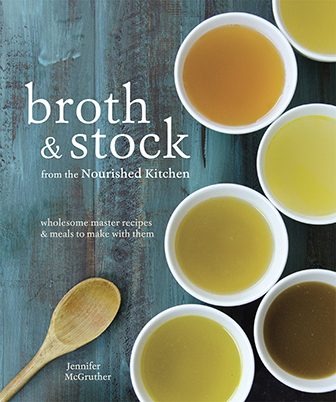 Curious to hear which one you have Jenny and what you find its best use is in your kitchen? I don’t care for how most things turn out in our old crockpot, everything seems to have a “crockpot taste” . Great and super fun post!